Orphan Sound System - "Meet The System"
Orphan Sound System was the Brooklyn based guitar/electronics/percussion trio of Jeff Gburek, John Elmanahi and John Palumbo, whose Layered Seed Water CD we reviewed back in AI #10. Recorded during 1997-98, Meet The System covers similar territory of instrumental free-improv that is heavy on the Rock and occupies an interesting realm between noise and ambience. Among my favorite tracks are "Chuck Wagner", "Nothin' Could Live In That Water" and "Mr. Rollo", which bring to mind more down n dirty avant-garde versions of early 70's King Crimson improv jams. But "Mr. Rollo" is a bit different, and across it's nearly 12 minute length there is a poetic spoken word monolog telling Mr. Rollo's story, and the music follows the theme of the story in a theatrical sort of prog rock manner, though there's also an element of coffeehouse jazz as well. Very subtle, but lots happening. I really enjoyed this one. With "Delerium Tremens" we get into the exploratory noisy soundscape realm. Gburek and Elmanahi create the kind of wrenching sounds from their strings that are intense but strangely pleasant, while Palumbo keeps the rhythmic pace in motion. A Magma-esqe bass briefly joins in, giving a potent bottom end to the music and I was disappointed when it ended. But that's a minor thing as the bubbling stew of sounds these guys produce is the real highlight. "Delicato" features slowly developing, harsh, but highly atmospheric soundscapes. Feedback and drones rise and fall, creating layers of textured aggression that is, nonetheless, hypnotic in its effect. There were also a few shorter tracks that were somewhat different from the rest. "Archesurfal Typer A" is a powerful punky noise-drone-psych rock tune that I really liked. "Can-Can Mediterraneeanne (aka "The Happy Song")" is a brief rocking song with an almost New Wave pop flavor to it. Kind of like "I Will Follow" era U2. 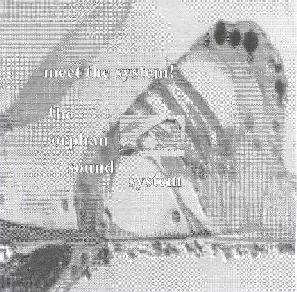 And "System Scramble" is a trancey piece with a hip-hop feel. Overall, an enjoyable set that would appeal to noise-prog-psych and free-improv fans alike.